I also remember finding a lone and lost Easter egg a month or so after Easter, and it wasn’t pleasant as it stuck up the house. Oh, those were the days. 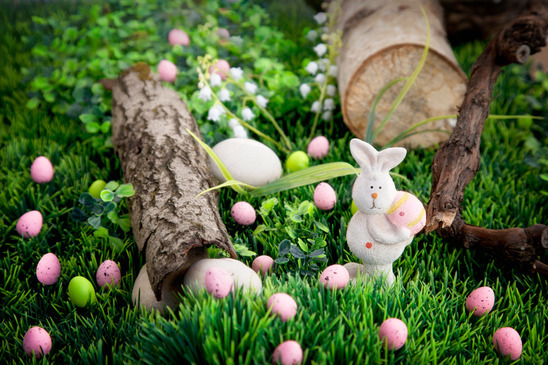 So, if you hid any eggs in your house, you might want to start your spring-cleaning as soon as you can and avoid that awful smell of spoiled Easter eggs, though it could just as well be those lost dirty socks or the food stuck between sofa cushions. Regardless of the reason, the spring-cleaning season is here, like it or not. Having said that, it sounds like you might be doing a lot of bending, turning, and lifting, which can really cause some muscle aches, joint stiffness and neck and lower back pains. Did you know that fish oil is that there are some findings that point to the Omega-3 as an inflammation reducer and can help reduce some of that stiffness and can provide some natural healing, But it can only do so much if the nerves are being tenderize by some more than that? …and did you know that fish oil was the #1 natural product among adults, with 7.8% using it in 2012? But another type of pill that many of us take for pain is the common analgesic known as, Acetaminophen – like TYLENOL though it only reduces pain and not inflammation as Ibuprofen does like Advil or Motrin, but even those can only do so much good and often cause more harm. Let’s face it, none of us enjoy taking pills for pain, and none of us enjoy pain. So really, who enjoys taking a drug to reduce that chronic pain in the neck? Answer: No one! So what can we do about this pain in our neck? First, imagine a pain free world; imagine waking up each day, fresh and sprightly. Imagine a carefree daily routine – a routine that did not include the chronic back or neck pain that many of us experience so often. The National Institute on Health reports that more than 1 in 10 American adults experience chronic pain. Did you know that mindful meditation has shown to reduce pain and improve wellbeing? Envisioning is a great way to start each day, changing it mentally, becoming more in tune with us then as we become more in tune, we can move toward action. Also, a Mediterranean diet which high in whole grains, fresh fruits, leafy vegetables, fish, and olive oil has shown to reduce inflammation. I hope you enjoyed this blog post on holistic pain management solutions that are sure to improve your quality of life and connect you with a pain-free world.